Learning is not a tough, consuming exercise that we’re led to believe by schools, teachers and parents. As human beings, we keep learning all the time. Did you remember when you touched a steaming vessel and learned to look for steam? Did you remember when you touched a steaming vessel and learned to look for steam? Did you remember when you touched a steaming vessel and learned that it’s hot? Do you remember cutting yourself with a nail-cutter and learned to be careful? Learning is a continuous process. We keep learning all the time even when we don’t realize that. Classmint is built for the natural form of learning. i.e. exploratory learning. Classmint annotations help with exploring information and learning from it thru Active Recall as we explore it. Selecting the text inside a note shows a context menu which lets you annotate the text with either more text/images or voice. Here’s how it looks. Once you click that Explain, a complete box appears to help create the annotation. Now, It’s possible to create a rich annotation using text, images, links, code-snippet, formula using this dialog box. A learner who is exploring this note can click the annotated text to reveal more information. Clicking on a text annotation will reveal more information in the form of a dark text dialog, as shown above. A voice annotation will play the recorded voice on click. In Classmint study note, one can add an image and annotate it. The process of annotating is a bit different. After inserting the image, one should click on Explain at bottom-right of the image as shown in the image below. Once you click on the Explain, you will see the image popping up like below. Now, you can click on it and explain any part of the image with an image annotation. The key difference between text and image annotations on Classmint: Text annotations require a click to reveal them and image annotations reveal on hover. Looking to explore more. If you like/hate the idea, please leave the comments. Posted on February 17, 2015 Leave a comment on Exploratory Learning with Text, Image and Voice Annotations. Educational content is just like food in more ways than you can imagine. You must have consumed McDonalds fries and felt gratified. Watching a fresh educational video about a topic of your interest is equally gratifying. 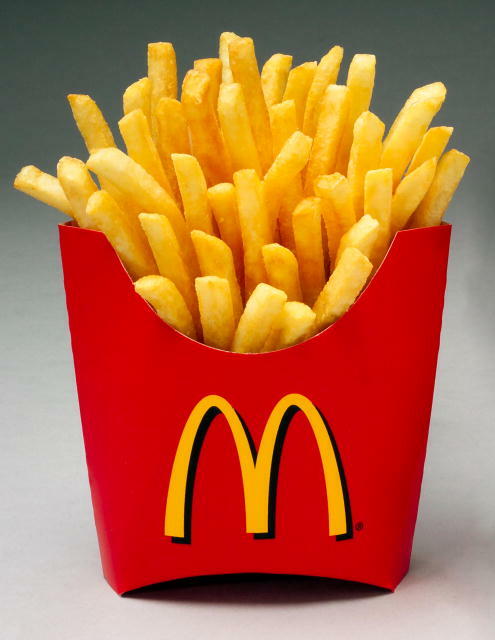 McDonalds is great, but it is in no way a replacement of all types of restaurants and variety of food available to us. We will always crave for Chinese, French and Mexican food. We will also desire different types of specialty restaurants. 3. Local is an important factor. If I’m in Punjab, Punjabi food will be a good choice. If I’m in Bangalore, I’d prefer idlis. Every place has a popular educational institute which speaks their language. Things are explained better using a local context. People can understand better from a local trainer than from a foreigner. 4. It’s good when it’s fresh and out of the oven. As an Indian kid, I demanded freshly backed Rotis at home. No one would prefer a dish that was cooked 4-5 days ago. The content produced now will have a modern context and hence learners can relate them better. 5. Cooks and Instructors are important. Cooks are available in all types. There are part-timers who cook at the restaurant in day-time and cook for clients in the evening. There are cooks who keep learning new ways to cook food. There are teachers who keep participating in teacher-training. You want to consume from someone who’s good at making it! 6. It’s good when it’s personalized. I don’t like too much salt in my food. My roomie likes it. My family members like it when spicy while I like it less spicy. Content can be personalized to serve needs of individuals. Educational content is best when personalized to a target audience. 7. It’s better when served on time. It feels hungry while coming back from Gym. If the breakfast is not yet ready, It feels odd. You like lunch on time and mostly dinner on time. The educational content has to be served on time. Most study material becomes a low priority after exams. Hard topics can be learned early in the morning. Posted on February 16, 2015 February 16, 2015 Leave a comment on Educational Content is like Food! We’ve seen groups everywhere. All social media platforms, Google Groups, Yahoo Groups and much more. Why do we need a new kind of groups? We’ve received various request from our users that they don’t want to publish their study notes but be able to share with a fixed set of people. Groups will make this possible. Study notes created by a classmate can be really useful to other members of the class and groups will make it easy to share notes privately with your classroom. How would you like to use Groups? Posted on March 28, 2014 Leave a comment on Classmint Groups are in the works! Classmint is free and ad-free. We like it that way and it’s continued growth! The problem is that it’s not easy to keep it that way forever because we need to pay our bills. All of us have seen a street guitarist at some point in time. We Classmint co-founders consider ourselves more like software artists rather than business people. The cool thing about being an artist is there is clear focus and dedication towards creating something of value to the consumer of either music or software. Everything else is like a distant next priority. It’s really cool and it works for good artists. If you’re not a good artist, you should not be in the business anyway! We think that’s a good thing because it will help our stat-up decisions more inclined towards value creation for our consumers. If they find it valuable enough, we are sure that we’ll be paid for that. Thinking about money too early can be distracting because it may hurt the chances of building something really awesome. We’re here for the long and make the best learning system ever. Putting advertising on Classmint is a bad idea because students come here for studying and learning and spend a good deal of time on the site. We do not want to distract them and offer a clean uncluttered experience. It’s core to our existence. One option is to sell a premium subscription to students. We think it is also an average idea. We are intending to have a massive impact in education and we should not be ruling our poor students who are talented but not able to buy it. We feel our music (our product/craft) should be free and everywhere. It’s a pleasure to build something that a large number of people. We’re growing at 20-30% month over month and would love to see the growth only accelerate and more people benefit. All these looks great in theory. Now, we’ve taken the first to practice this theory. We’ve currently implemented on our home and looking to see how that works for us. Will update this post in a couple months and publish our experience. Classmint was made available in beta on July 31, 2013. Since then, we’ve seen consistent growth in major parameters that matter to us. Let us present some graphs for the same. Let us take a few minutes to thank everyone who wrote about Classmint. A teacher introduces Classmint to the Staff – A quick video. Posted on December 1, 2013 Leave a comment on A teacher introduces Classmint to the Staff – A quick video. This list has been created using some of the Edu emails in our user database. It’s not an exhaustive list. We’ll keep updating this for more. Posted on November 8, 2013 November 9, 2013 Leave a comment on Who is using Classmint?